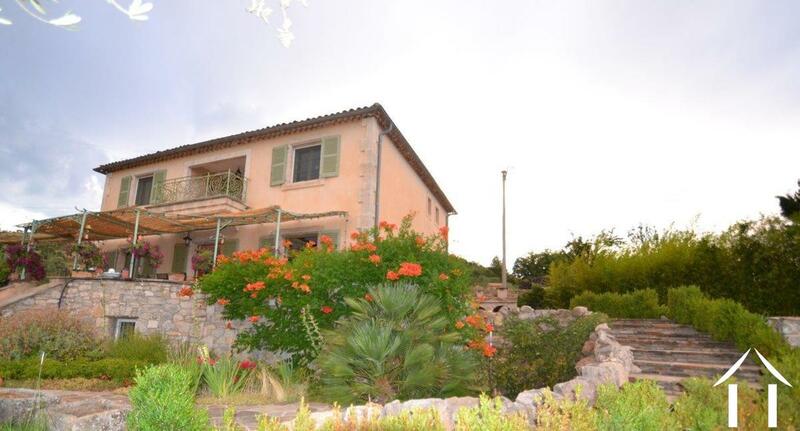 Spacious "Bastide" in excellent condition on beautiful and unique location on top of a hill with panoramic views of the Parc Naturel Régional du Haut Languedoc. The idyllic landscape that makes this region so famous, here is literally "at your feet". 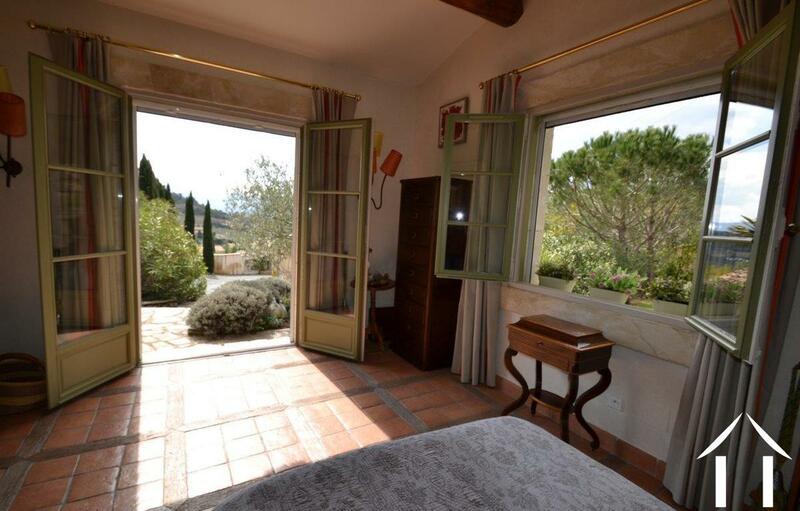 The property is located within walking distance of the center of the small picturesque village where time seems to have stood still and where you can make long walks in a pure and unspoiled scenery. Though, the various facilities are very good and quickly accessible. 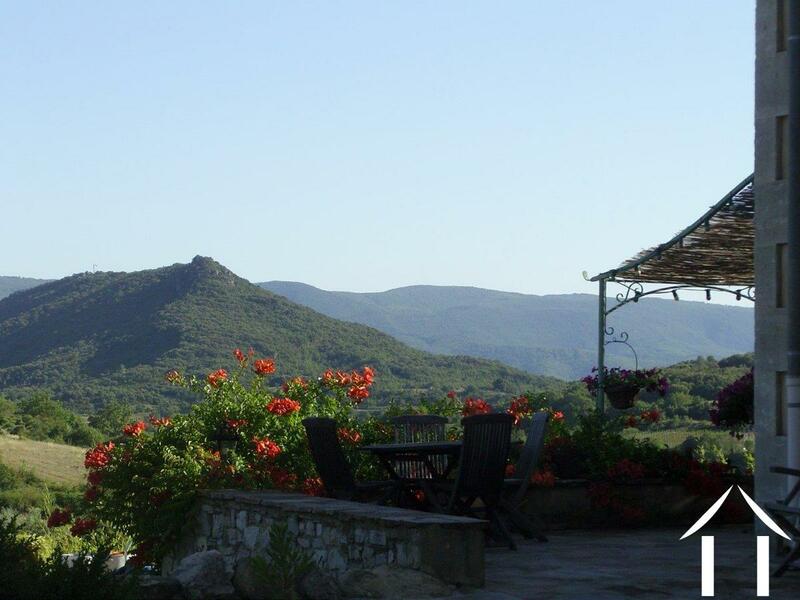 Within a 5 to 10 minutes drive one has access to Lamalou les Bains with its medical facilities, schools, restaurants and terraces. Here one can enjoy a golf club, a casino and thermal baths. In about a one hour's drive one has access to the beaches on the Mediterranean. 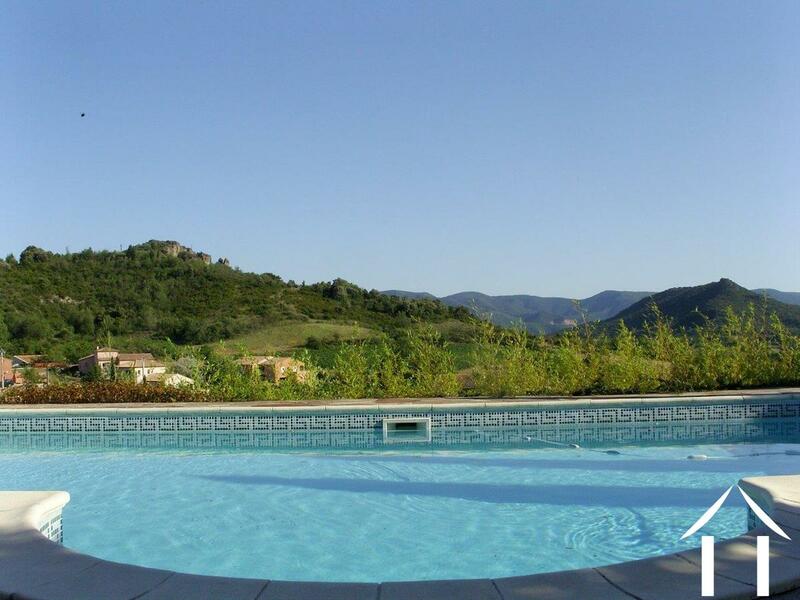 In the vicinity there are numerous towns and cities, including Clermont l'Herault, Pezenas, Beziers and Montpellier all reachable in between a 30 and 60 minutes drive. The "Bastide" was designed in 2002 by an architect and built in a solid and traditional way by the use of a large number of natural materials such as stone, marble, terra cotta and wood. 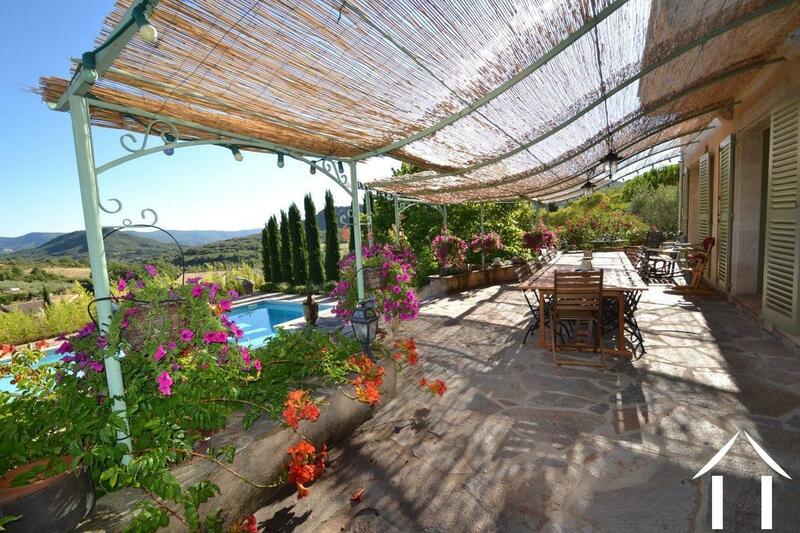 Both indoors and outdoors, the property exudes a Provençal style and a typical " savoir - vivre feeling" which is emphasized by the stunning views. The villa is excellently maintained and ready to move in and offers a surface of about 220 m² and is composed by : a spacious living room, kitchen, 4 bedrooms which includes a guestroom and master bedroom, a fitness room, 2 bathrooms and an office. There also a lot of additional space such as a large garage, a stone garden shed, wood storage and a beautiful wine cellar. Around the house there are numerous, natural stone tiled, terraces and seating areas so that one can fully enjoy the Mediterranean climate. 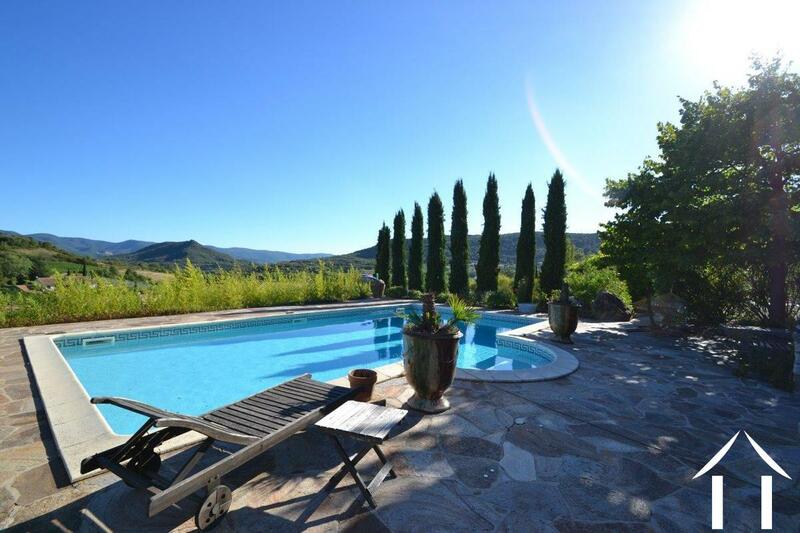 At a lower level is a spacious tiled pool with heating (electric and solar) and lighting. 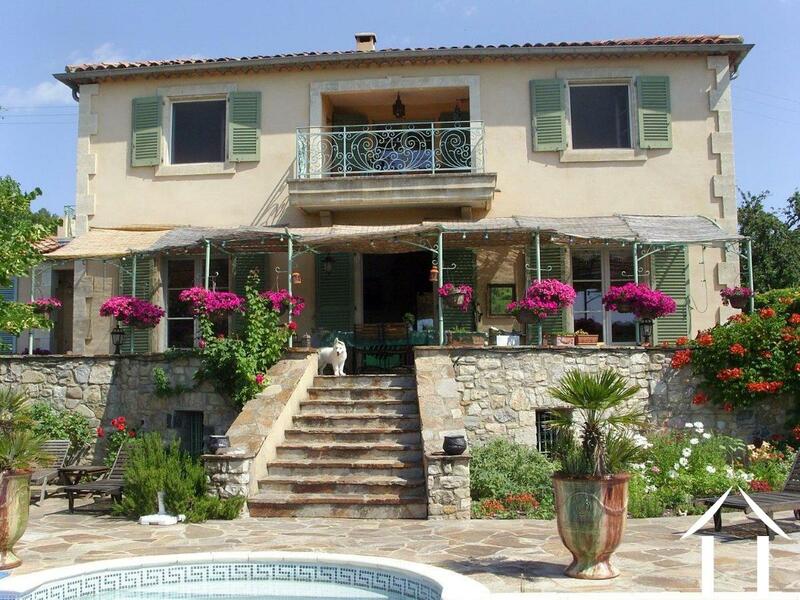 The villa is beautifully finished with solid materials and has a high degree of comfort and is well equipped with a.o. 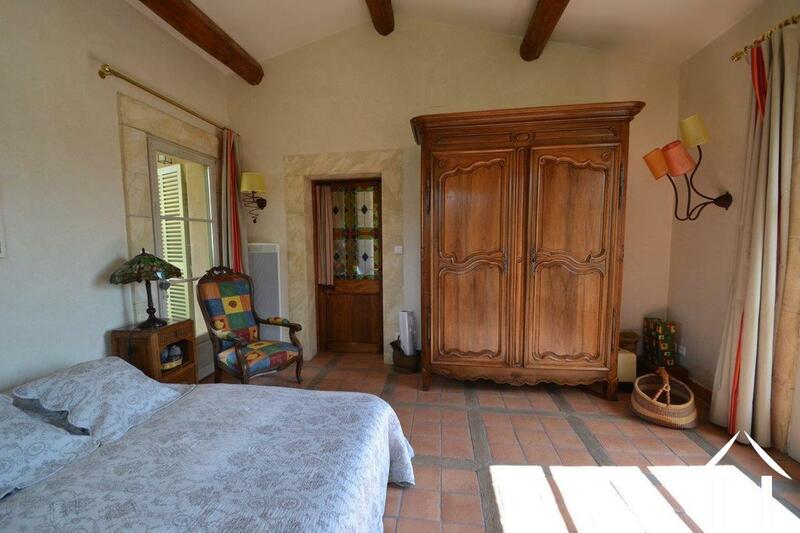 double glazing, floor heating, a terra cotta tiled floor ( oak floors in bedrooms on first floor ) , wide wooden panel doors, high ceilings and a fine exposure. 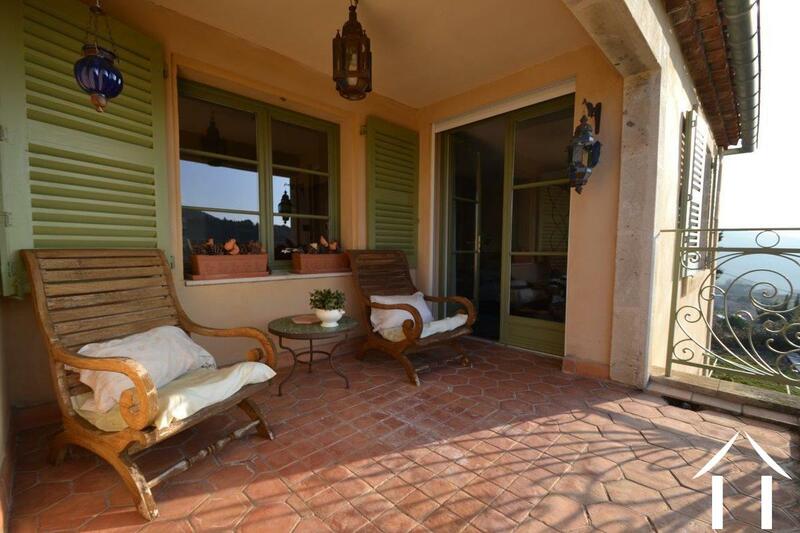 The beautiful garden (2.732 sqm) is reached via a beautiful iron and electric gate with and a paved driveway ( additional 714 m² ). The garden is lovingly landscaped, well maintained and seems, as well as the house, to melt together with the surrounding nature. 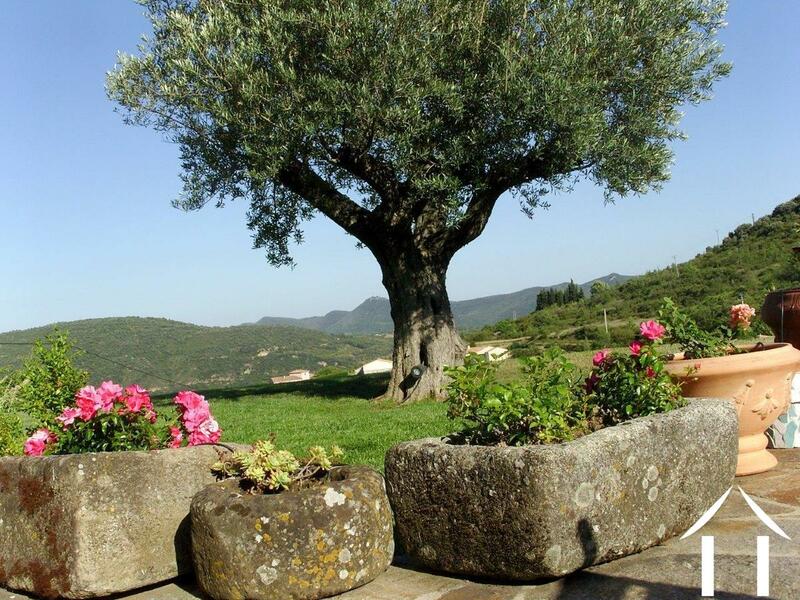 The garden has a typical Mediterranean vegetation including several flowerbeds (lavender, rosemary), oleander, olive trees and cypresses. Despite its large size, the garden is, due to the fact that it is landscaped with local plants and equipped with a sprinkler system, relatively low in maintenance . Just the benefits and not the worries .......which counts actually not only for the garden but for the whole house ! The villa is designed in such a way that one can completely experience the "Southern French feeling" during the four seasons. Because of its size and its beautiful location , the villa is well suited for a permanent residence but also fits perfectly as a " manageable " second home with excellent rental potential. A visit is definitely worth it! Viewing by appointment.